Candid photos are some of our favorite wedding photos to capture. 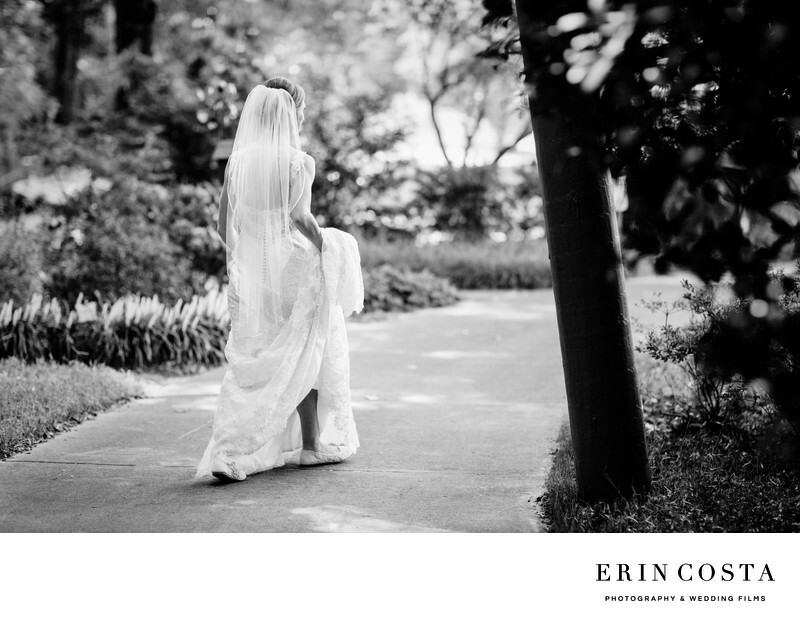 Ones like this black and white image of Jenna walking back to the bridal suite before her wedding ceremony at New Hanover County Arboretum. Location: 6206 Oleander Dr, Wilmington, NC 28403.